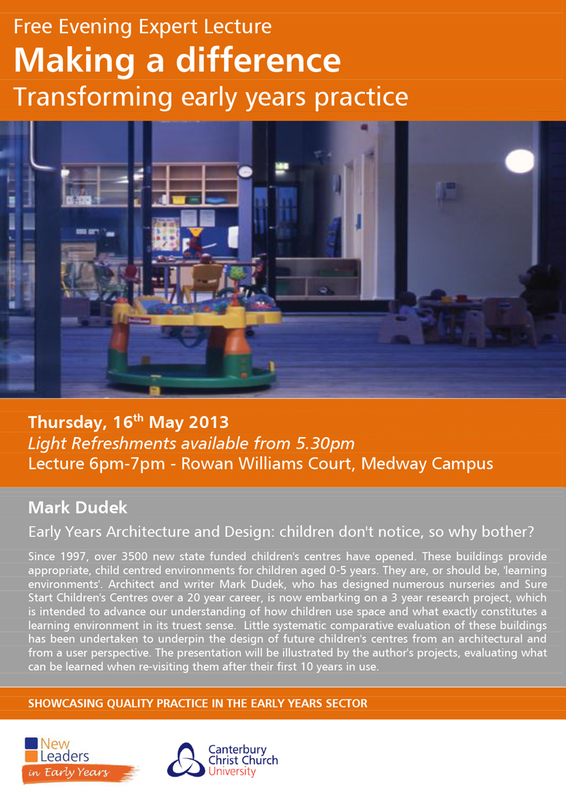 Mark Dudek’s career combines building and research both as a specialist consultant and as an award winning design architect in the area of pre-school environments. 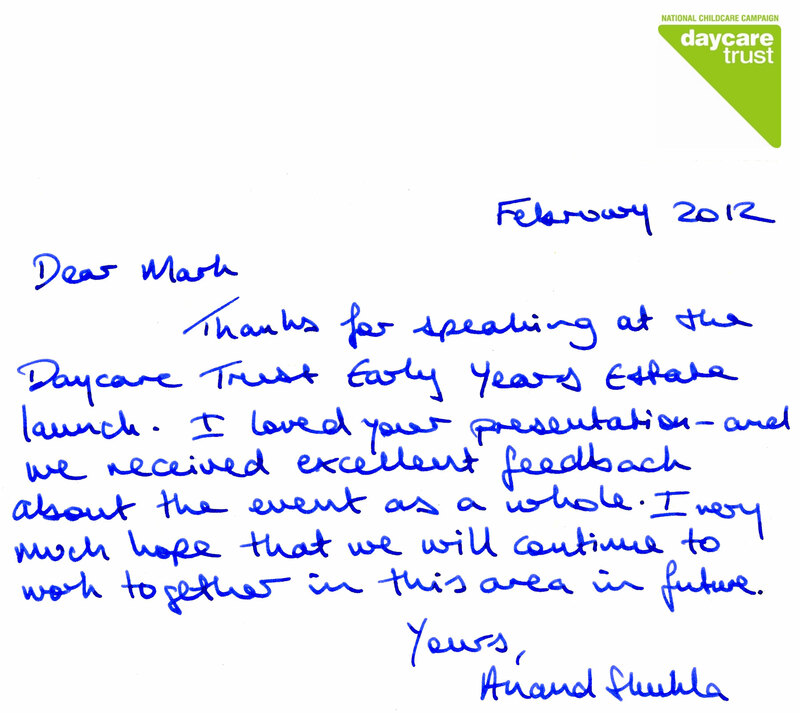 Mark has written and broadcast on many aspects of early years architecture. 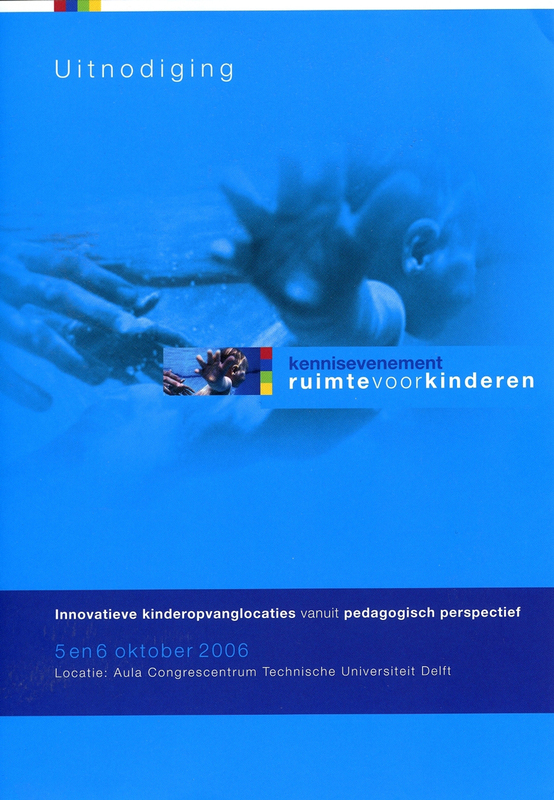 The second edition of Kindergarten Architecture was published in September 2000. 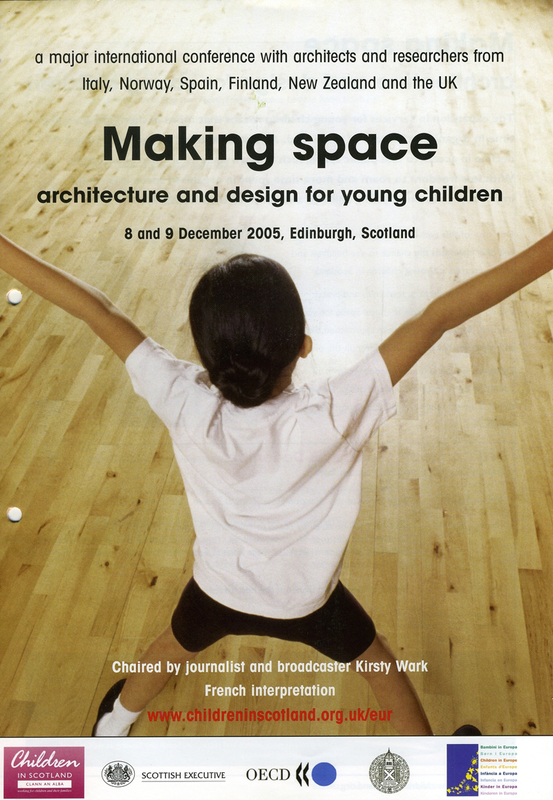 Other recent publications include Building for Young Children published by the National Early Years Network (2001), Architecture of Schools – the New Learning Environments published by the Architectural Press (2002), and Spaces for Children, an edited collection of essays on children’s urban culture which was published in August 2005. He has lectured all over the world including a recent series of AIA talks in Michigan USA. 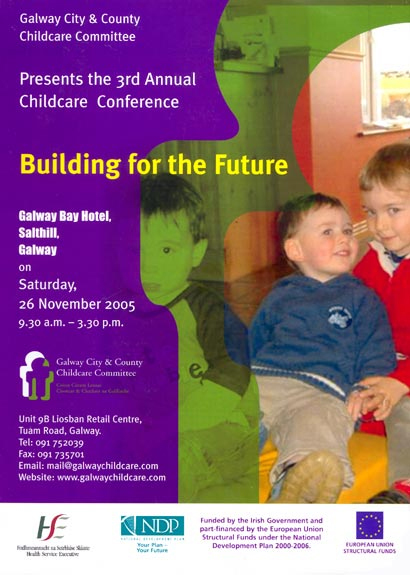 He has been a keynote speaker at conferences organised by the University of California, Berkeley; The Daycare Trust, London; The Regional Childcare Working Group, South West Ireland; Ruimte voor Kinderen (the Dutch Government Advisor), Delft; and the Scottish Executive amongst others. Mark is advisor to the UK Government’s Commission for Architecture and the Built Environment (CABE) and a Client Design Advisor for the Royal Institute of British Architects. He has talked at many conferences in Ireland over the years. Conference presentations are usually 45 minutes duration. 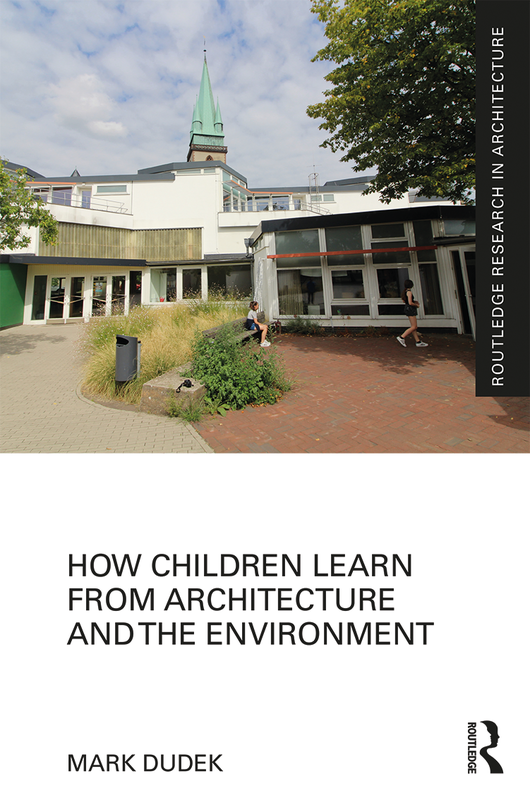 The material presented is visual and all references are supported by high quality images, examples of buildings, gardens and other children’s environments, which illustrate key points about the chosen subject. Mark will also lead workshop sessions on specific subjects of interest to the organisers. 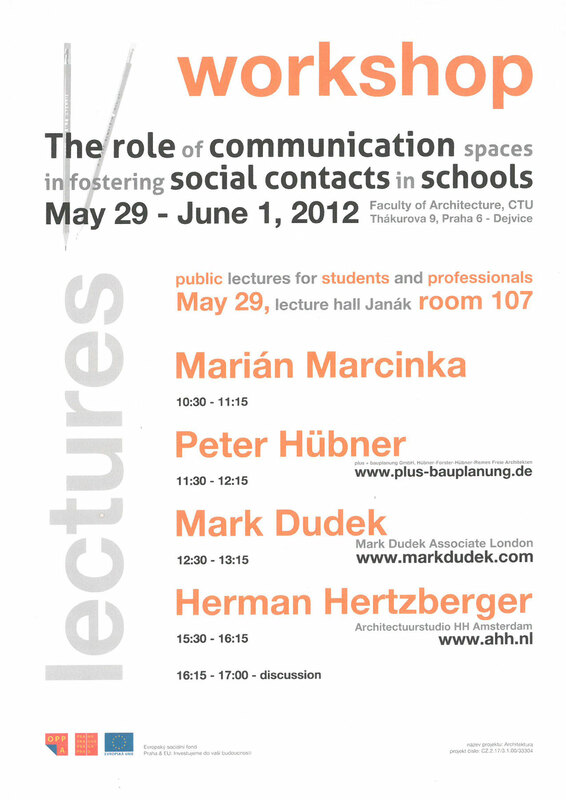 The conference presentations listed opposite are a selection of those featuring Mark Dudek as the keynote speaker.